The unforgiving current is no match for Seth, as he feels his life slipping away. The ocean has slammed his seventeen year old body to his death, the impact fracturing his skull, severing his spinal cord and washing away his life that lead to the moment, where his death now comes as a relief. But for Seth Wearing, his life has only just begun. Waking up free of injuries on a vaguely familiar suburban street, Seth can't help but assume that he's woken up in hell. The broken and run down houses in the English county are a backdrop to the desolate streets, abandoned cars, dust and the stench of decay. Where is he? He certainly isn't wearing his own clothes, but rather a mass of bandages. The streets should be a wash of colour, neighbours gathering and children playing, but it's eerily quiet. No cars, no trains and not a soul in sight. Stepping inside the house, Seth now realises where he is... This is the house where he used to live. The house he lived in before his family moved to America. The house in England. But how is that possible? This is the house his mother swore she never wanted to see again after the incident that had changed their lives forever. Seth can remember his life before he passed, the night he and friends H, Gudmund and Monica stole the baby Jesus from a nativity scene on a neighbours front lawn, that he should have been in his final year of high school, and that he had planned to escape to college and leave his parents and brother Owen behind, the family that had become virtual strangers after the incident. As Seth finds himself in the dusty old house, with no food, now clothed like a homeless clown and with rusted water that could potentially be poisoning him, he releases that he can't stay without adequate supplies, and sets off to explore his new version of hell. Clearly something isn't right when Seth can retrace his steps through the house, the dusty footprints of one way traffic from the upstairs floor. But Seth never expected to find a glossy black coffin, filled with white cushions and metallic lined bandages, torn in what looks to be an escape attempt. The coffin is powered, with tubes being fed through the interior and Seth wonders if the surrounding homes are housing the same horror. Running on empty, Seth lulls himself into a fitful and traumatic slumber, each time he dreams of his previous life, the incident and repercussions. His mother's love for Owen, while Seth is barely acknowledged, falling in love and his world cruelly torn apart by those he needed most. But if the vivid dreams don't unravel Seth's new existence, The Driver certainly will. In the first sign of human life, a black van driving through the desolate streets. But before Seth has a chance to approach the vehicle, he's accosted by a small boy no more than twelve years old, panicked and begging Seth to run... Or he'll die at the hands of the masked man known as The Driver. Regine and Tomasz find themselves in the same situation as Seth, with no idea how they came to be. They all have different theories about what the world has become, but as unique as they all are, they've all woken up in a coffin, all have died, all three are dreaming vivid memories of their former lives and all scared to be taken by The Driver. Why are they there, where are they and what has happened to everyone else? If I could use one word to describe More Than This, it would be phenomenal. This was my introduction to Patrick Ness and I can't believe I've waited so long to experience his brilliance. The story is a young adult post apocalyptic, science fiction thriller that places the reader in Seth's world, and what a frightening world that is. The plot is intricate and well paced, creating a vivid landscape of desolation and isolation. Seth is a brilliant and well developed character who carries the weight of his family on his shoulders and it seems as though he may have been the only one, his mother especially having blamed Seth for what is clearly her own mistake. Through Seth's dreams, we see glimpses of his circle of friends, and the life of a teen in love, but is scared to tell the world. I absolutely loved Tomasz, or Tommy as he is affectionately known. The small Polish immigrant holds the group of three unlikely allies together. He's experienced the hardest life of them all, but with his broken English, slightly off kilter phrasing and antidotes, he adds a lightness and comedy to the storyline, which breaks up the intensity. 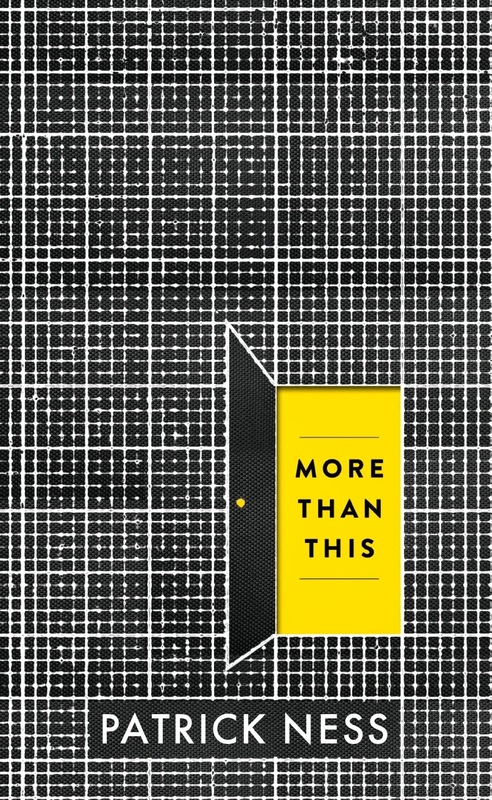 More Than This is the type of book to ruin you for all others. 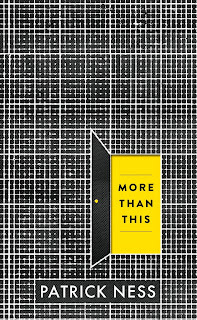 Patrick Ness has constructed a story so masterful that both teen and young adult readers will be blown away. Thank you to Walker Books for allowing me the privilege to read and review. Definitely bring it to the front of your pile Jeann, it really is that good! It's one of those books that will haunt you long after you've finished. This book is really brilliant! I loved everything about it. The story sucked me in from the start. Great review! Me too Dre. It's the first book in quite a while where the storyline completely surprised me. I really couldn't predict where it was going. I'm definitely a fan of Patrick Ness if More Than This is anything to go by. Thanks for stopping by Dre, glad you loved it too. That unicorn banner is freaking amazing! Did you make it? Hi Mei and thanks for popping by. I love anything off topic, it keeps life interesting. I did, but I can't take credit for creating the unicorn image, it was a commercial use clipart. I only brought it all together. As soon as I am done with Chaos Walking, this is next of my list. Sounds fantastic! Phenomenal? Count me in. I really think the while spectrum of young adult readers will enjoy this one. I'm definitely going to be moving onto his other novels now. Thanks for popping by Sam.